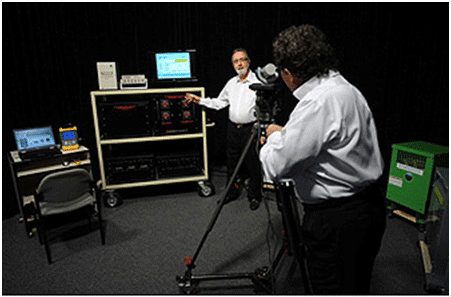 Power Quality International’s Technology Demonstration Laboratory and TV Studio, located at its corporate offices in Odessa, Florida, is set up as a “television-style” studio that includes high-definition video cameras and sound system. 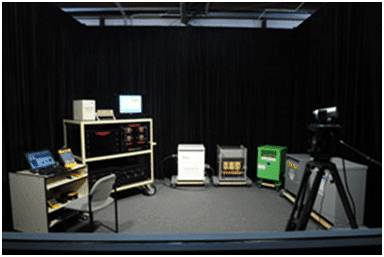 Combined with our similarly equipped conference center, the PQI Technology Demonstration Lab is an invaluable and cost-effective resource for educating specifying engineers, architects, electrical contractors, and building owners/operators. The lab also includes a measuring system that accurately determines a transformer’s Excitation Losses and Impedance Losses, under any nonlinear load condition, and calculates its resulting energy efficiency. The measuring instruments are based on the Voltage and Current Difference, Loss Measurement Method. This method is detailed in a number of IEEE papers. These publications also discuss the practical limitations of other measurement methods, including the Power-In – Power-Out Measurement Method employed by our competitors. 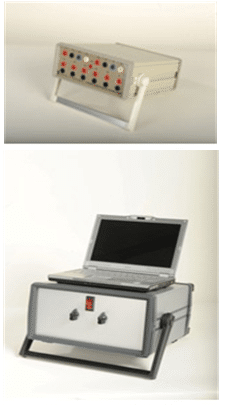 These custom-built measuring instruments are the only measuring instruments of their type in existence. Both have losses in measurement accuracies of ±1.3% and a resulting efficiency accuracy of ±0.034%. Contact PQI to set up a no-cost, no-obligation informative and educational session broadcast from the PQI Technology Demonstration Laboratory.